Although this ad is just for fun, there is more than a little truth in it's message. 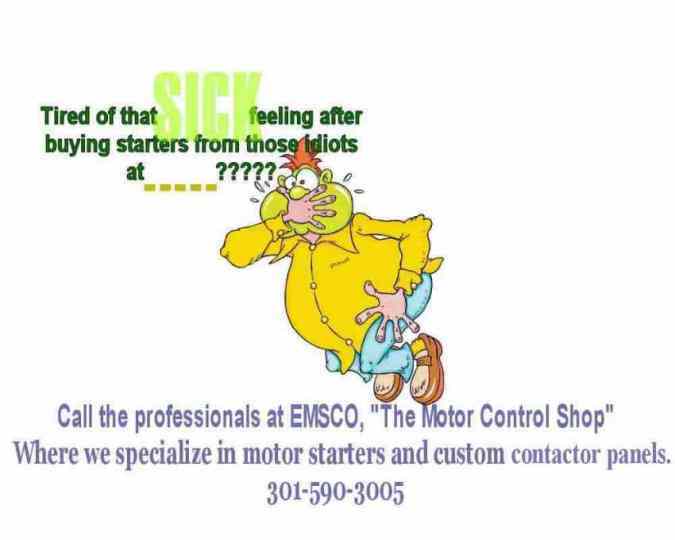 We have the expertise in starter applications that far exceeds any distributor or small mod shop. We go far beyond "you get what you ask for" mentality. We work with our customers and guide them through starter ordering to insure that each starter is exactly what is needed. All too many times a starter is ordered from a competitor and when it arrives at the job site, it is not correct. The time and expense that is spent in correcting the situation frequently can make the project run into delays as well as consuming any profit margin built into the project. A correct solution, easy to install, with complete schematics and custom terminal connections can mean, less installation time, less headaches and maximizing the profit margins on any job.